High Integrated Intelligent Computerized Single Needle Lockstitch Machine with USB Plug. Applicable to common thin material, medium heavy such as knit wear, shirt, suit, leisure wear, jeans. 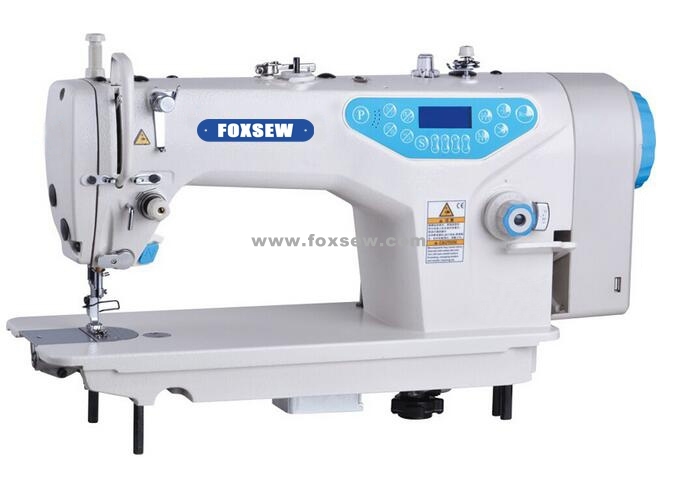 1.It is a perfect integration of mechatronic lockstitch sewing machine which has the inside electronic control box and the built-in control panel . it has a number of patents ,can be easily assembled and conveniently operated. 2. Newly designed patterned appearance, extra width space convenient for the store of sewing materials, easy for operation. 3. Self-lubricate design of take-up-lever mechanism to increase the service life. 4. Adopt inside direct drive servo-motor system to improve the braking precision when quick start. Power saving up to 60% to reduce the cost. 5. Transmission mechanism adopt oil pump automatic oil feeding system to ensure the lubrication when machine in high speed or low speed operation. 6. Adopt inside wounding system to increase the efficiency. 7. Auto safety switch devices to power off after the reverse running of the machine to ensure the safety when fixing and cleaning. Full reflect the product humanization design idea. 8. High-precision gear and main parts imported to comprehensively reduce the noise and improve the quality and extend the service life. 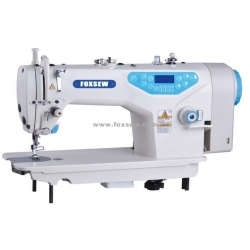 9.Automatic trimming, automatic needle positioning, automatic needle counting, automatic reverse sewing counting, automatic thread wiping, etc available to ensure the smart sewing. More humanization, more intellectualization apply to all kinds of complex and highly difficult process, increase the efficiency.